When people are in need of a snack that will pick them up during critical parts of their day, they usually make the wrong decisions. In most cases you will go straight towards a candy bar or a burger. That will keep you feeling energetic for a very short period of time, and will ultimately make you even more tired and sleepy later. But, when you need to have energy throughout the whole day, you should carefully pick what you are going to consume. Small portions of the right foods can make a big difference. You will be surprised how the simplest foods will greatly raise your energy levels. Bananas are great if you are looking for something that will pick you up during the most critical part of your day. It is also recommended that you eat this fruit after a workout, or after a stressful experience. This is because bananas are rich in potassium, which you lose when you sweat. In case you don’t know, potassium is an electrolyte that represents one of the most important things for a healthy nervous system. Thus, eating a banana will revive your strength and help you function throughout the day. 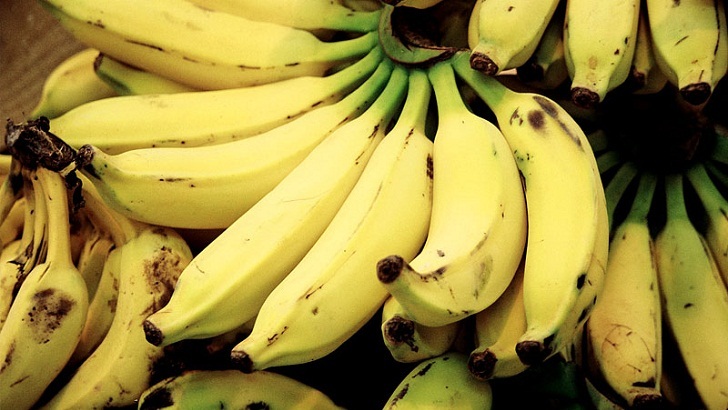 Bananas are also known to slow down digestion, so you are bound to feel the energy for a long time.